Flat roofs offer several advantages, especially for commercial buildings. For example, they’re affordable, easy to construct and convenient. 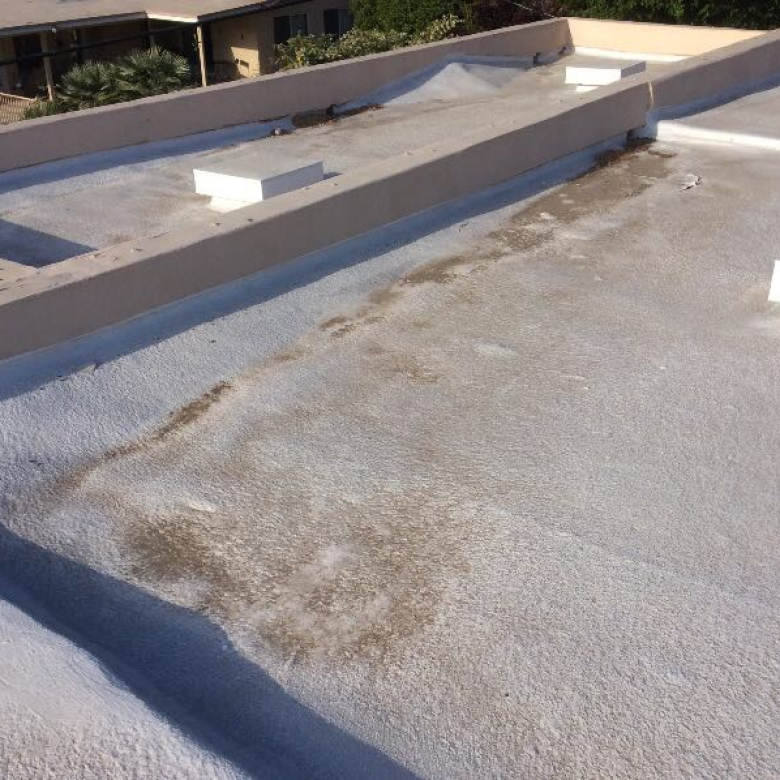 Covering a flat roof is different from covering a pitched one. This is because, unlike sloped roofs, flat roofs are threatened by water. 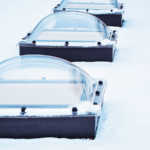 Here are the main types of roof membranes, their average life spans, along with some guidelines for selecting the best type. A PVC membrane is exceptionally durable and strong. It has one layer of thermoplastic material, and the seams are hot-air welded so that there’s a watertight bond. Because it doesn’t absorb the energy of the sun, but instead reflects it, this roofing membrane is extremely energy efficient. This is particularly the case for white PVC membranes. Furthermore, it’s lightweight. On the other hand, it’s not as attractive as other types. Most PVC membranes have lifetime warranties and last for 15 to 30 years. TPO (Thermoplastic Polyolefin) roofing is also single-ply. It continues to be popular since it first emerged in the roofing industry about 25 years ago. One reason for its popularity is that it’s energy efficient. Also, it’s about three to four times stronger than EPDM roofing, which is another single-ply roofing membrane. Its welded seams make it very durable, and it has a lifespan ranging from 7 to 20 years. EPDM, also known as rubber roofing, has the advantage of being considerably cheaper than other roofing membranes. It’s lightweight, flexible and easy to install. However, its seams aren’t as strong those on a PVC membrane. In addition, it’s not as energy efficient as it tends to absorb heat more, which can lead to higher energy bills. Moreover, it’s not that attractive and can shrink over time. An EPDM membrane has a lifespan of 10 to 15 years. BUR roofs have been used for more than 100 years and are able to endure intense foot traffic as they’re incredibly durable A BUR or built-up membrane consists of at least four piles of alternating bitumen layers of coal, tar, asphalt and other adhesives, along with an aggregate layer on top. The application of crushed stone, or another type of mineral granules, protects it from harsh sunlight and wear. On a negative note, they require more weight for reinforcement. Their lifespan is from 15 to 20 years. Modified bitumen is installed in several layers. The installation involves an intensive procedure, so it must be done by a professional. One huge advantage of a modified bitumen membrane is its multi-ply material, which protects it from sharp objects. The rubber and elastomers that are included in the formula of making this membrane give it strength and flexibility. It also offers more cosmetic appeal and energy efficiency. The lifespan of a modified bitumen membrane is 10 to 20 years. A silicon spray-on roof doesn’t involve any seams. But this doesn’t mean it’s cheaper as it’s one of the most costly types of installations. It’s critical that the spray be applied evenly. Therefore, it needs to be done by a professional roofer. The spray can last for as long as 20 years. What is the best type of roofing membrane for a flat roof? The answer depends on several factors, such as your climate, the amount of foot traffic on your roof and your budget. Choosing a roofing membrane involves considering the strengths and weaknesses of each type of roof. Keep in mind that the most durable single-ply roof is one with a PVC membrane, but it can be more expensive. Even though an EPDM roof is cheaper, it’s less durable than PVC roofing. For a roof with intense foot traffic, consider a BUR membrane, although it’s heavy. A silicon spray doesn’t involve seams, but it’s expensive. 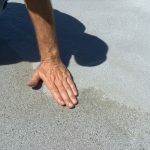 Regardless of the type of roofing membrane you choose for your flat roof, you’ll still need to deal with ponding water. 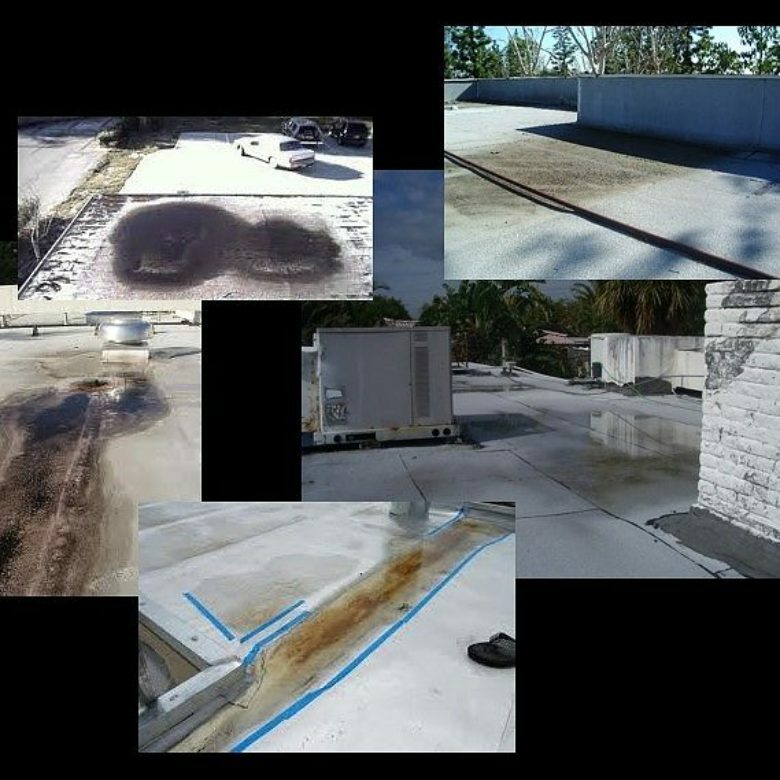 At RoofSlope, we have a unique product designed to prevent this problem. Please contact us and learn more about how we can help you avoid ponding water.